The new technology will provide users with an AI guide that will lead them through CBT. 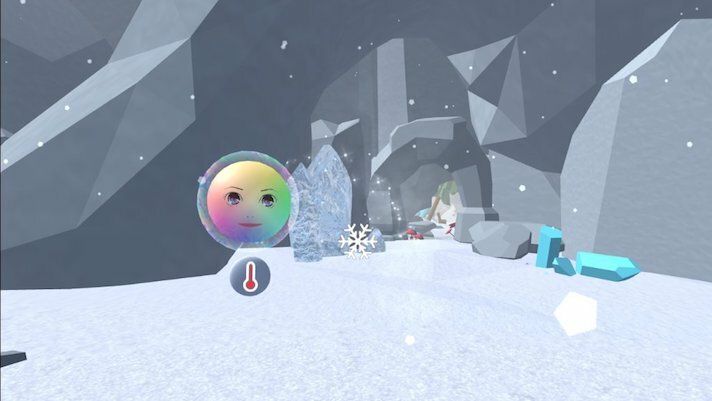 VRHealth has exclusively unveiled to MobiHealthNews a virtual reality product called Luna that was designed to help patients manage hot flashes. The new VR product, which can be used by patients going through menopause or chemotherapy treatment, employs cognitive behavioral therapy (CBT). It also gives users a data analysis of their treatment. When a user puts on the VR headset, they are greeted by an AI trainer called Luna who guides users through CBT and other coping mechanisms. The technology also lets users virtually travel to another environment. While the technology will first be given to patients in a hospital setting, Orr said that the idea is for the system to go home with the patients. The idea for Luna came out of a personal connection. One of the members of the VRHealth team developed the idea for the technology after undergoing chemotherapy for breast cancer and experiencing hot flashes as a side effect. Orr said that Luna will officially launch in January of 2019 at CES. Hot flashes, which are often triggered by a hormone drop, are associated with breast cancer chemotherapy and surgery to remove the ovaries as well as menopause, according to the Cancer Treatment Centers of America (CTCA). While women are most likely to experience hot flashes, the CTCA said that men can also experience the condition. Common treatment options include hormone therapy, antidepressants and other prescription medications, according to the Mayo Clinic. Alternative medicine including meditation, acupuncture and CBT are also used. VRHealth is pitching this technology as another avenue to treat the condition, and Orr hinted that in yet-to-be-released clinical trials Luna outperformed medications for hot flash treatment. VRHealth was in the news in September when it teamed up with Facebook’s Oculus, which makes VR hardware and other related products, on a range of healthcare-focused VR applications to be delivered on the latter’s hardware. VR as a whole is growing. Many in healthcare are looking to the technology to help with pain, discomfort and anxiety. Clinicians are deploying it in a wide range of settings including obstetrics, pediatrics and rehabilitation. New research analyzes the brain scans of almost 500 people to unravel the brain mechanisms in OCD. Obsessive-compulsive disorder (OCD) is a mental health condition that affects more than 2 million adults in the United States. People with OCD often experience recurring, anxiety-inducing thoughts or urges — known as obsessions — or compulsive behaviors that they cannot control. Whether it is repeatedly checking if the door is locked or switching lights on and off, OCD symptoms are uncontrollable and can severely interfere with a person’s quality of life. Treatments for OCD include medication, psychotherapy, and deep brain stimulation. However, not everyone responds to treatment. In fact, reference studies have found that only 50 percent of people with OCD get better with treatment, and just 10 percent recover fully. This treatment ineffectiveness is partly down to the fact that medical professionals still do not fully understand the neurological roots of the condition. A new study, however, aims to fill this gap in research. Scientists led by Luke Norman, Ph.D., a postdoctoral research fellow in the Department of Psychiatry at the University of Michigan (U-M) in Ann Arbor, corroborated and analyzed large amounts of data from existing studies on the neurological underpinnings of OCD. The scientists published their meta-analysis in the journal Biological Psychiatry. Norman and colleagues analyzed studies that scanned the brains of hundreds of people with OCD, as well as examining the brain images of people without the condition. “By combining data from 10 studies, and nearly 500 patients and healthy volunteers, we could see how brain circuits long hypothesized to be crucial to OCD are indeed involved in the disorder,” explains the study’s lead author. Specifically, the researchers zeroed in on a brain circuit called the “cingulo-opercular network.” This network involves several brain regions that are interconnected by neuronal pathways in the center of the brain. Studies have previously associated the cingulo-opercular network with “tonic alertness” or “vigilance.” In other words, areas in this brain circuit are “on the lookout” for potential errors and can call off an action to avoid an undesirable outcome. Most of the functional MRI studies included by Norman and colleagues in their review had volunteers respond to errors while inside the brain scanner. An analysis of data from the various studies revealed a salient pattern: Compared with people who did not have OCD, those with the condition displayed significantly more activity in brain areas associated with recognizing an error, but less activity in the brain regions that could stop an action. The researcher continues using an analogy. “This analysis sets the stage for therapy targets in OCD because it shows that error processing and inhibitory control are both important processes that are altered in people with the condition,” says Fitzgerald. The researcher also explains how the findings may enhance current treatments for OCD, such as cognitive behavioral therapy (CBT). “Through findings like these, we hope we can make CBT more effective, or guide new treatments,” Dr. Fitzgerald adds. The team is currently recruiting participants for a clinical trial of CBT for OCD. In addition to CBT, Dr. Fitzgerald also hopes that the results will enhance a therapy known as “repetitive transcranial magnetic stimulation” (rTMS). “If we know how brain regions interact together to start and stop OCD symptoms, then we know where to target rTMS,” she says. “This is not some deep dark problem of behavior,” Dr. Fitzgerald continues. [WEB SITE] Is There a Science to Psychotherapy? Neuroscience findings suggest that psychotherapy alters the brain. Since the decade of the brain, 1990-1999, neuroscience has captured enormous amounts of attention from both the scientific community and the general public. Many books and media reports describe the brain’s basic anatomy and function. There has been a proliferation of neuroscience institutes at universities. In laboratories all over the world, neuroscience has become one of the most exciting and productive branches of inquiry. Yet not everyone is completely pleased with what neuroscience has to tell us. In particular, some decry neuroscience for trying to delegitimize the “mind.” Going back to the original Cartesian mind-body duality, these critics insist that neuroscience can only go so far by describing the function of neurons and neurotransmitters. What cannot be reached by science, they say, is that ineffable “mind” that constitutes the human spirit. For them, neuroscience is purely an attempt to reduce the complexities and wonders of human experience to brain scan images and electrical recordings from axons and dendrites. As a resident in psychiatry in the late 1970s, Jack witnessed the emergence of psychopharmacology as the dominant discipline for academic psychiatry and lived through the often bitter battles between “biologists” and “psychologists.” This may be, in part, where the mistrust of neuroscience began. The biologists believed that their method of treating psychiatric illness—medication—was based on solid science and rejected psychotherapy as unscientific. They also believed that neuroscience explained why the new psychiatric drugs worked and therefore promoted brain science as the basis for their discipline. Every lecture about depression or schizophrenia in those days began with a picture of a pre- and postsynaptic neuron forming a synapse across which neurotransmitters like serotonin, noradrenaline, and dopamine carried information. The new medications interact with receptors for these neurotransmitters and, it was taught at the time, this explains how they work to treat depression, anxiety, and psychosis. It turns out that the picture of neurons everyone used back then was a vast oversimplification of what a synapse really looks like and that almost nothing we know about neurotransmitters and their receptors actually explains how psychiatric drugs work. But what really bothered the psychologists was the complete dismissal of psychotherapy by the biologists. Years of studying various types of psychotherapy convinced them that indeed they had science on their side. Furthermore, they objected to the biologists’ emphasis on inherited abnormalities as the sole basis for psychiatric illness. Psychologists had always been more interested in the ways that human experience, from birth onwards, shaped personality and behavior. Over time, many (but thankfully not all) psychologists came to see neuroscience as the branch of science devoted to promoting pharmacology as the only treatment for psychiatric illness and to trying to prove that those illnesses were entirely due to inherited brain abnormalities. Biologists stood with nature; psychologists with nurture. This fear of neuroscience’s aims is entirely misplaced. Over the last several decades, neuroscience has, in fact, focused a great deal of attention on the biology of experience, elucidating the ways in which what happens to us in life affects the structure and function of the brain. Every time we see, hear, smell, or touch something, learn a new fact, or have a new experience, genes are activated in the brain, new proteins are synthesized, and neural pathways communicate the new information to multiple brain regions. Neuroscience is not, therefore, synonymous with psychopharmacology, nor does it invalidate the complexities of human experience. It has shown, for example, that early life interactions between a parent and child shape how the brain will function for the rest of a person’s life. This has tremendous implications for understanding the mechanism of action of psychotherapy if we accept the idea that psychotherapy itself is a form of life experience and therefore capable of changing brain function at molecular, cellular, and structural levels. Here are two examples that illustrate ways in which neuroscience informs psychotherapy. It is now clear that the expression of conditioned fear is dependent upon an intact, functioning amygdala. Scientists have shown that the amygdala, located in a primitive part of the brain often referred to as the limbic cortex, reciprocally inhibits and is inhibited by a more evolutionarily advanced part of the brain, the medial prefrontal cortex (mPFC). Thus, under circumstances of heightened fear, the amygdala shuts down the ability of the mPFC to exert reason over emotion and initiates a cascade of fearful responses that include increased heart rate and blood pressure and freezing in place. When the mPFC is able to reassert its capacity for logic and reason, it can, in turn, inhibit the amygdala and reduce and extinguish fear. Cognitive behavioral therapy (CBT) is an evidence-based intervention that is the first-line treatment for most anxiety disorders and for mild, moderate, and in many cases even severe depression. Because the automatic, irrational fears and avoidance behaviors manifested by patients with anxiety disorders and depression resemble the behavior of rodents in Pavlovian fear conditioning experiments, scientists have wondered if CBT works, at least in part, by strengthening the prefrontal cortex to amygdala pathway, thereby reducing amygdala activity. Indeed, many studies have shown that anxious and depressed patients have reduced activity in this pathway and exaggerated amygdala responses to fearful stimuli. Studies have also shown that successful CBT for social anxiety disorder decreases amygdala activation. Most recently, a group of scientists from Oxford, Harvard, and Berkeley showed clearly that stimulation of the prefrontal cortex in human volunteers both reduced amygdala activation and fear. Maria Ironside and colleagues selected 18 women with high levels of trait anxiety and randomized them to receive either transcranial direct current stimulation (tDCS) to the prefrontal cortex or sham tDCS. The subjects underwent functional magnetic resonance imaging (fMRI) of the brain and performed an attentional load task that tests vigilance to threat. Real, but not sham, tDCS increased activity in the prefrontal cortex, decreased activity in the amygdala, and decreased threat responses. This study is one example of preclinical and clinical neuroscience coming together to suggest a biological mechanism for the efficacy of a psychosocial intervention. We know that the cognitive portion of CBT strengthens a patient’s ability to assert reason over irrational thoughts and fears and that this decreases amygdala activity in some studies. We know clearly from animal studies that stimulating the prefrontal cortex reduces amygdala activation and potentiates fear extinction. Now we also know that in a group of anxious people, direct stimulation of the prefrontal cortex does exactly the same thing as it does in animal studies and, in addition, reduces anxiety. With this plausible hypothesis for how CBT works, scientists can now push further to see if brain imaging can ultimately help select patients with particularly weak prefrontal to amygdala pathway strength who might be prime candidates for CBT and then to track how they are doing in therapy objectively by repeating the brain imaging studies to see if and when that pathway is strengthened. CBT has been proven effective by many high-quality clinical trials and therefore is a prime candidate for biological studies, but can the same be said for such widely used but not empirically-validated treatments as psychoanalysis and psychoanalytic psychotherapy? In 2011, Jack and his colleague, Columbia psychiatrist and psychoanalyst Steven Roose, proposed that another aspect of fear conditioning—reconsolidation of fear memories—may explain one biological mechanism of action for how psychoanalysis works. In rats, when a conditioned fear memory is reactivated, it temporarily becomes labile and can be completely erased by blocking the biological mechanisms that permit reconsolidation of the memory. Could it be that in psychoanalytic therapies, the patient undergoes a process of reactivating distressing early memories that, once made conscious through the psychoanalytic process, can be manipulated by the therapist’s interpretations? According to this hypothesis, those now altered memories can then be reconsolidated into permanent memory in a less disturbing format. The theory has been considered since then by many scientists and psychoanalytic theorists and a number of experiments show that the phenomena of labile reactivated memories and blockade of reconsolidation do indeed occur in humans. Blocking reconsolidation of reactivated memories has been shown to be effective in experiments attempting to help addicts overcome the powerful tendency to succumb to subtle cues and resume taking drugs even after successful rehabilitation. Here again, information gained from the basic neuroscience laboratory and from clinical neuroscience studies may help us understand how one aspect of psychoanalysis works to change the brain in ways that are helpful to people suffering with mental illness. It is not necessary to invoke an ineffable “mind” to explain our unique human characteristics. Understanding the complexity of the human brain is sufficient to reveal how we are able to take what we experience and transform it into scientific theories, poetry, and philosophical ideas. Neuroscience is not superficial or reductionistic and it is not at all in the sole service of psychopharmacology and the genetic explanation for mental disorders. This becomes clear as we recognize the tremendous contributions neuroscientists have made to elucidating basic mechanisms that allow experiences to change the physical structure and function of the brain on a second-by-second basis. Everything we experience during life is translated into events that occur in the brain. Psychotherapy is a form of life experience that changes the way the brain works, often ameliorating abnormalities caused by adverse experience and stressful life events. So yes, there is a science to psychotherapy, one that can be readily understood by learning about some of the fundamental and fascinating ways our brains work. Neuroscience at the Intersection of Mind and Brain tries to do just that. [WEB SITE] Cognitive Behavioral Therapy (CBT) and Transcranial Magnetic Stimulation (TMS): What Are These Therapies and How Are They Used? When you have a cold, you might have a runny nose, a headache, and a cough. You may take different medications to treat each symptom to soothe your throat or ease your sneezing. Like treating a cold with multiple symptoms, there are different types of therapies to treat the multiple symptoms of depressive disorder, widely known as depression. Cognitive Behavioral Therapy (CBT) and Transcranial Magnetic Stimulation (TMS) are two therapy types that address specific symptoms of depression. More than 300 million people around the world have depression, which is a common mental illness with multiple symptoms such as persistent sadness, irritability, a feeling of worthlessness, and loss of interest in activities—especially in things that previously brought joy or excitement. With Cognitive Behavioral Therapy (CBT), a therapist helps a patient with depression to focus on understanding how three things – thoughts, feelings, and behavior – affect each other. “The goal of CBT for depression is to start targeting problematic thoughts and actions that are occurring in the present – as opposed to looking back in the past for a cause – teaching patients skills that they can use to become more aware of their negative thoughts, evaluate their validity and, when not accurate, replace them with more realistic/balanced ways of thinking,” says Simon Rego, Chief Psychologist at Montefiore Medical Center/Albert Einstein College of Medicine in New York. Imagine setting a goal – like running a marathon for the first time. A running coach could help you reach that goal by giving you tips and developing a training to slowly build up your strength. In CBT, the therapist acts like a coach and helps people identify goals such as driving a car or giving a speech. Then the therapist helps to figure out actions to reach those goals such as practicing thinking strategies, writing in journals, and doing homework assignments between appointments. Doing these activities in CBT can help people learn coping skills, build self-confidence, and have a sense of control, and a growing number of studies show that CBT works very well for treating depression and several other mental health conditions. Another therapy called Transcranial Magnetic Stimulation (TMS) can be used for some patients with depression who do not get better with antidepressant medications or other treatments. “In our experience, TMS is an appropriate treatment for major depressive disorder, moderate in severity and who are still functioning in the home, community, and who have failed multiple antidepressant medications,” said Ananda Pandurangi, medical director and chair of inpatient psychiatry in the Department of Psychiatry at Virginia Commonwealth University School of Medicine. “It is not appropriate for patients with either “mild” depression or those with severe depression including those with psychosis or catatonia,” said Pandurangi, noting that psychotherapy and medications may be more appropriate for patients with mild to severe depression. TMS aims to alter brain circuitry. Using an electromagnetic coil, called a stimulator, to affect brain activity and treat depression, TMS treatment involves a doctor placing the stimulator near the forehead against the scalp. This activates brain cells in an area of the brain that includes the prefrontal cortex and controls mood and depression. Sessions typically use repetitive TMS (rTMS) where recurrent magnetic pulses stimulate the brain. In 2008, the FDA approved rTMS for depression treatment after several research studies showed this TMS treatment lowers signs of depression and improves mood in people with treatment-resistant depression. Melissa Galinato recently earned her PhD in Neurosciences from the University of California, San Diego. She works as a freelance writer and editor, specializing in neuroscience and mental health topics. Butler AC, Chapman JE, Forman EM, Beck AT. The empirical status of cognitive-behavioral therapy: a review of meta-analyses. Clinical Psychology Review. 26(1), 17-31 (2006). Depression. National Alliance on Mental Illness. Accessed 2/7/2018. Depression. World Health Organization. February 2017. Dobson D, Dobson KS. Evidence-based practice of cognitive-behavioral therapy. Guilford Publications. 2016. Gaynes BN, Lloyd SW, Lux L, Gartlehner G, Hansen RA, et al. Repetitive transcranial magnetic stimulation for treatment-resistant depression: a systematic review and meta-analysis. The Journal of Clinical Psychiatry. 75(5), 477-89 (2014). Huguet A, Rao S, McGrath PJ, Wozney L, Wheaton M, et al. A systematic review of cognitive behavioral therapy and behavioral activation apps for depression. PLoS One. 11(5), e0154248 (2016). Lefaucheur JP, André-Obadia N, Antal A, Ayache SS, et al. Evidence-based guidelines on the therapeutic use of repetitive transcranial magnetic stimulation (rTMS). Clinical Neurophysiology. 125(11), 2150-2206 (2014). Levkovitz Y, Isserles M, Padberg F, Lisanby SH, Bystritsky A, et al. Efficacy and safety of deep transcranial magnetic stimulation for major depression: a prospective multicenter randomized controlled trial. World Psychiatry. 14(1), 64-73 (2015). Pascual-Leone A, Rubio B, Pallardó F, Catalá MD. Rapid-rate transcranial magnetic stimulation of left dorsolateral prefrontal cortex in drug-resistant depression. The Lancet. 348(9022), 233-237 (1996). Psychotherapy. National Alliance on Mental Illness. Accessed 2/7/2018. Wassermann EM, Williams WA, Callahan A, Ketter TA, Basser P, et al. Daily repetitive transcranial magnetic stimulation (rTMS) improves mood in. Neuroreport. 6, 1853-1856 (1995). DESIGN: Parallel 2-group randomized controlled trial. intervention or a treatment as usual (TAU) condition. Epworth Sleepiness Scale, and Hospital Anxiety and Depression Scale. g=1.14-1.93), with maintenance of gains 2 months after therapy cessation. One type is Cognitive Processing Therapy (CPT) where you learn skills to understand how trauma changed your thoughts and feelings. Changing how you think about the trauma can change how you feel. Another type is Prolonged Exposure (PE) where you talk about your trauma repeatedly until memories are no longer upsetting. This will help you get more control over your thoughts and feelings about the trauma. You also go to places or do things that are safe, but that you have been staying away from because they remind you of the trauma. A similar kind of therapy is called Eye Movement Desensitization and Reprocessing (EMDR), which involves focusing on sounds or hand movements while you talk about the trauma. This helps your brain work through the traumatic memories. Medications can be effective too. SSRIs (selective serotonin reuptake inhibitors) and SNRIs (serotonin-norepinephrine reuptake inhibitors), which are also used for depression, are effective for PTSD. Another medication called Prazosin has been found to be helpful in decreasing nightmares related to the trauma. Researchers from Emory University have found that specific patterns of activity on brain scans may help clinicians identify whether psychotherapy or antidepressant medication is more likely to help individual patients recover from depression. The study, called PReDICT, randomly assigned patients to 12 weeks of treatment with one of two antidepressant medications or with cognitive behavioral therapy (CBT). At the start of the study, patients underwent a functional MRI brain scan, which was then analyzed to see whether the outcome from CBT or medication depended on the state of the brain prior to starting treatment. The study results are published as two papers in the March 24 online issue of the American Journal of Psychiatry. The MRI scans identified that the degree of functional connectivity between an important emotion processing center (the subcallosal cingulate cortex) and three other areas of the brain was associated with the treatment outcomes. Specifically, patients with positive connectivity between the brain regions were significantly more likely to achieve remission with CBT, whereas patients with negative or absent connectivity were more likely to remit with antidepressant medication. “All depressions are not equal and like different types of cancer, different types of depression will require specific treatments. Using these scans, we may be able to match a patient to the treatment that is most likely to help them, while avoiding treatments unlikely to provide benefit,” says Helen Mayberg, MD, who led the imaging study. Mayberg is a Professor of Psychiatry, Neurology and Radiology and the Dorothy C. Fuqua Chair in Psychiatric Imaging and Therapeutics at Emory University School of Medicine. Mayberg and co- investigators Boadie Dunlop, MD, Director of the Emory Mood and Anxiety Disorders Program, and W. Edward Craighead, PhD, J. Rex Fuqua Professor of Psychiatry and Behavioral Sciences, sought to develop methods for a more personalized approach to treating depression. Current treatment guidelines for major depression recommend that a patient’s preference for psychotherapy or medication be considered in selecting the initial treatment approach. However, in the PReDICT study patients’ preferences were only weakly associated with outcomes; preferences predicted treatment drop-out but not improvement. These results are consistent with prior studies, suggesting that achieving personalized treatment for depressed patients will depend more on identifying specific biological characteristics in patients rather than relying on their symptoms or treatment preferences. The results from PReDICT suggest that brain scans may offer the best approach for personalizing treatment going forward. In recruiting 344 patients for the study from across the metro Atlanta area, researchers were able to convene a more diverse group of patients than other previous studies, with roughly half of the participants self-identified as African-American or Hispanic. “Our diverse sample demonstrated that the evidence-based psychotherapy and medication treatments recommended as first line treatments for depression can be extended with confidence beyond a white, non-Hispanic population,” says Dunlop. “Ultimately our studies show that clinical characteristics, such as age, gender, etc., and even patients’ preferences regarding treatment, are not as good at identifying likely treatment outcomes as the brain measurement,” adds Mayberg. Neuro trauma can completely disrupt the way a person feels, thinks and behaves. Whether it’s from a mild concussion, severe traumatic brain injury, stroke or aneurysm – neuro trauma causes a wide variety of deficits including long and short term memory loss, impulsivity, mood swings and many other social, cognitive and behavioral issues. Two of the most commonly recommended treatments also happen to be the most commonly mistaken for each other: Cognitive Behavioral Therapy (CBT) and Cognitive Rehabilitation Therapy (CRT). So, what’s the difference? Cognitive Behavioral Therapy is effective for treating a variety of conditions such as mood, anxiety, personality, eating, addiction, dependence and psychotic disorders. Cognitive Behavioral Therapy replaces distorted or negative thoughts with more realistic ones to decrease emotional distress and self-defeating behavior. Simply put: if you change the way you think, you can change the way you feel and behave. Drug addiction is commonly treated with Cognitive Behavioral Therapy. The therapist helps enable the patient to see how their thoughts, feelings and behavior patterns interact to trigger their urge to use drugs. From here, the therapist can determine the source of the patient’s problematic relationship with drugs. For example, feelings of depression may lead to self-destructive thoughts which, in turn, may result in the patient using drugs. The therapist targets negative feelings that start the cycle of abuse by helping the patient develop a positive self-worth. By altering thoughts like negative self-talk and self-isolation that can lead to drug-seeking behavior, Cognitive Behavioral Therapy helps end the negative feedback loop of addiction in a patient’s life. Even when therapy is complete, patients are advised to continue practicing CBT so they can maintain a positive outcome. Cognitive Rehabilitation Therapy is the process of mentally redeveloping the cognitive skills and function lost due to brain injury. These skills include intellectual performance, problem solving, attention deficits, memory and language difficulties. The key measure of CRT is the patient’s level of cognitive function. If the patient cannot relearn the lost skills, then the therapists teaches compensatory strategies. These strategies can literally be anything that helps the patient redevelop and maintain their independence. For example, a patient with short term memory problems could learn to set an alarm on his phone to remind him to take his medication. 1) Assessment, education and awareness development of cognitive strengths and weaknesses, 2) skill development concentrating on resolving defined cognitive deficits, 3) compensatory strategy training and 4) functional activities that involve applying the first three components of CRT to everyday life. At Life Skills Village, our therapists assess and treat patients’ cognitive skills by focusing BOTH on building upon the patient’s strengths while strategically shoring up their weaknesses. But what if a patient has a deficit that cannot be rebuilt? This is where the therapist’s list of compensatory strategies comes in – for every deficit, there is at least one compensatory strategy. A patient experiencing difficulties with short-term memory will have several strategies for them to try: there are many smart phone apps to help organize schedules and act as a reminder for events. Patients can develop the habit of taking notes in doctor’s appointments. They might keep a calendar on their refrigerator at home to know where they are scheduled to be on any particular day. Even maintaining a simple “thought” journal can aid patients in tracking their emotions in relation to daily events. Although both Cognitive Behavioral Therapy and Cognitive Rehabilitation Therapy maintain a focus on cognition, they are distinct therapies designed to address specific cognitive concerns. Cognitive Behavioral Therapy is used to treat mental conditions such as anxiety or depression by focusing on an emotional or behavioral issue. The goal is to change a patient’s perception in order to decrease self-defeating behaviors, improve their mood and develop healthy thought patters. Cognitive Rehabilitation Therapy employs a broad range of cognition-based therapies to assist patients with cognitive deficits, such as memory, attention and executive function. The goal is to improve cognitive function and processes. Using these and a myriad of other therapies, Life Skills Village facilitates independence and a return to normal life for our clients after their injuries. In today’s society, doctors and psychiatrists are quick to prescribe psychotropic drugs that often come with dangerous side effects for any disorder that stems from thought patterns. But what if I told you there was a better, safer way to manage and treat stress and brain disorders? Enter cognitive behavioral therapy. CBT therapists work with patients to help them uncover, investigate and change their own thought patterns and reactions, since these are really what cause our perceptions and determine our behaviors. Using CBT therapists offers patients valuable perspective, which helps improve their quality of life and manage stress better than patients simply “problem-solving” tough situations on their own. Something that might surprise you about CBT: A core principle is that external situations, interactions with other people and negative events are not responsible for our poor moods and problem in most cases. Instead, CBT therapists actually view the opposite as being true. It’s, in fact, our own reactions to events, the things we tell ourselves about the events — which are within our control — that wind up affecting our quality of life. This is great news — because it means we have the power to change. Through cognitive behavioral therapy, we can learn to change the way we think, which changes the way we feel, which in turn changes the way we view and handle tough situations when they arise. We can become better at intercepting disruptive thoughts that make us anxious, isolated, depressed, prone to emotionally eating and unwilling to change negative habits. When we can accurately and calmly look at situations without distorting reality or adding additional judgments or fears, we’re better able to know how to react appropriately in a way that makes us feel happiest in the long run. Researchers found the strongest support for CBT in treating anxiety disorders, somatoform disorders, bulimia, anger control problems and general stress. After reviewing 11 review studies comparing improvement rates between CBT and other therapy treatments, they found that CBT showed higher response rates than the comparison treatments in seven of the 11 reviews (more than 60 percent). Only one of 11 reviews reported that CBT had lower response rates than comparison treatments, leading researchers to believe that CBT is one of the most effective therapy treatments there is. Cognitive behavioral therapy is one of the best-known, empirically supported treatments for depression. Studies show that CBT helps patients overcome symptoms of depression like hopelessness, anger and low motivation, and lowers their risk for relapses in the future. Researchers have found that CBT works well as a natural remedy for anxiety because it includes various combinations of the following techniques: psycho-education about the nature of fear and anxiety, self-monitoring of symptoms, somatic exercises, cognitive restructuring (for example disconfirmation), image and in vivo exposure to feared stimuli (exposure therapy), weaning from ineffective safety signals, and relapse prevention. Cognitive therapy has become the treatment of choice for treating bulimia nervosa and “eating disorders not otherwise specified” (EDNOS), the two most common eating disorder diagnoses. There’s also evidence that it can be helpful in treating around 60 percent of patients with anorexia, considered to be one of the hardest mental illnesses to treat and prevent from returning. CBT techniques are also beneficial for just about everyone else, including people with no form of mental illness but who have chronic stress, poor moods and habits they’d like to work on. The term cognitive behavioral therapy is considered a general term for a classification of therapeutic approaches that have similarities, including: rational emotive behavior therapy, rational behavior therapy, rational living therapy, cognitive therapy and dialectical behavior therapy. CBT can work quickly, helping patients feel better and experience lessened symptoms within a short period of time (several months, for example). While many forms of therapy can take many months or even years to become very helpful, the average number of CBT sessions clients receive is only 16. CBT often involves the patient completing “homework” assignments on their own between therapy sessions, which is one of the reasons benefits can be experienced so quickly. In addition to homework being done by the patients while they’re alone, cognitive behavioral therapists also use instructions, questioning and “exposure therapy” during sessions. CBT is very interactive and collaborative. The therapist’s role is to listen, teach and encourage, while the patient’s role is to be open and expressive. One of the biggest advantages for patients is that CBT can be continued even after formal sessions with a therapist are over. Eventually, formal therapy ends, but at this point the clients can continue to work on exploring CBT concepts, using techniques they’ve learned, journaling and reading to help prolong benefits and manage symptoms. CBT works by pinpointing thoughts that continuously rise up, using them as signals for positive action and replacing them with healthier, more empowering alternatives. The heart of CBT is learning self-coping skills, giving patients the ability to manage their own reactions/responses to situations more skillfully, change the thoughts they tell themselves, and practice “rational self-counseling.” While it definitely helps for the CBT therapist/counselor and patient to build trust and have a good relationship, the power really lies in the patient’s hands. How willing a patient is to explore his or her own thoughts, stay open-minded, complete homework assignments and practice patience during the CBT process all determine how beneficial CBT will be for them. Law of entropy and impermanence: CBT rests on scientific assumptions, including the law of entropy, which is essentially the fact that “if you don’t use it, you lose it.” We always have the power to change how we feel because our feelings are rooted in our brains’ chemical interactions, which are constantly evolving. If we break cycles of thought patterns, our brains will adjust for the better. MRI scans show the human brain creates and sustains neural synapses (connections) between frequent thoughts and emotions, so if you practice positive thinking your brain will actually make it easier to feel happier in the future. Accepting unpleasant or painful emotions: Many CBT therapists can help patients learn how to stay calm and clear-headed even when they’re faced with undesirable situations. Learning to accept difficult thoughts or emotions as being “simply part of life” is important, because this can help stop a vicious cycle from forming. Often we get upset about our tough feelings and add on even more suffering. Instead of adding self-blame, anger, frustration, sadness or disappointment to already-tough feelings, CBT teaches patients to calmly accept a problem without judgment in order to not make it even worse. Questioning and expressing: Cognitive behavioral therapists usually ask patients many questions in order to help them gain a new perspective, see the situation more clearly and realistically, and help them undercover how they really feel. Specific agendas and techniques: CBT is usually done in a series of sessions that each have a specific goal, concept or technique to work with. Unlike some other forms of therapy, sessions are not simply for the therapist and patient to talk openly without an agenda in mind. CBT therapists teach their clients how to better handle difficult thoughts and feelings by practicing specific techniques during sessions that can later be applied to life when they’re most needed. CBT is a type of psychotherapy, which means it involves open talking between patient and therapist. You might have heard of several other forms of psychotherapy in the past and are wondering what makes CBT stand apart. Many times there is some overlap between different forms of psychotherapy. A therapist might use techniques from various psychotherapy approaches to help patients best reach their goals and improve (for example, to help someone with a phobia, CBT might be coupled with exposure therapy). CBT vs. Dialectical Behavior Therapy (DBT): DBT and CBT are probably the most similar therapeutic approaches, however DBT relies more heavily on validation or accepting uncomfortable thoughts, feelings and behaviors. DBT therapists help patients find balance between acceptance and change by using tools like mindfulness guided meditation. CBT vs. Exposure Therapy: Exposure therapy is a type of cognitive behavioral therapy that’s often used to help treat eating disorders, phobias and obsessive-compulsive disorder. It teaches patients to practice using calming techniques and small series of “exposures” to triggers (things that are most feared) in order to become less anxious about the outcome. CBT vs. Interpersonal Therapy: Interpersonal therapy focuses on the relationships a patient has with his or her family, friends, co-workers, media and community to help evaluate social interactions and recognize negative patterns (such as isolation, blame, jealousy or aggression). CBT can be used with interpersonal therapy to help reveal underlying beliefs and thoughts driving negative behavior toward others. Identify your current obstacles: The first step is to identify what’s really causing you stress, unhappiness and unease. Maybe you’re feeling resentful toward someone, fearful of failure or worried about being rejected socially in some way. You might find that you have persistent anxiety, symptoms of depression or are struggling to forgive someone for a past event. Once you can recognize this and become more aware of your primary obstacle, then you have the power to start work on overcoming it. Try “thought recording”: You can use a journal or even record your own voice on a tape recorder to help you identify recurring destructive thoughts you frequently tell yourself. Ask yourself questions to dig deeper and form connections you weren’t previously aware of. Then reread your entries as if you were not yourself, but a good friend. What advice would you give yourself? What beliefs of yours can you notice aren’t very accurate, only making matters worse and not overall helpful? Form patterns and recognize your triggers: Think about what types of situations make you most likely to feel anxious, upset, critical or sad. Start to form patterns of behaving in certain ways or experiencing certain things (for example, maybe drinking too much alcohol or gossiping behind someone’s back) and how they leave you feeling, so you can start breaking the cycle. Notice how things are always changing: Feelings come and go constantly (called impermanence), so knowing that fear, anger or other strongly unplesant emotions are only temporary can help you stay calm in the moment. “Put yourself in their shoes”: It’s important to try and view situations as rationally, clearly and realistically as possible. It helps to consider other people’s perspectives, question your assumptions, and see if there’s something important you might be missing or ignoring. Thank yourself and be patient: Even though CBT works quickly for many people, it’s an ongoing process that’s essentially lifelong. There’s always ways to improve, feel happier, and treat others and yourself better, so practice being patient. Remind yourself there is no finish line. Give yourself credit for putting effort into facing your problems directly, and try to view “slip-ups” as inevitable parts of the journey and learning process. Some of the major ways cognitive behavioral therapy benefits patients from different walks of life includes lowering symptoms of depressions, reducing anxiety, treating eating disorders, reduces addictive behaviors and substance abuse, and helps improve self-esteem and confidence. You can practice cognitive behavioral therapy by identifying your current obstacles, trying thought recording, forming patterns and recognizing your triggers, noticing how things are always changing, putting yourself in others’ shoes, and thanking yourself and being patient.